There have been quite a few new fun snacks and confectionary where they have mixed two items to create one new one. Remember the Cronut, where they merged a croissant with a donut? Well this is isn’t quite that drastic and it isn’t called Popnut, but it is popcorn with doughnut flavouring. I call it Popnut they called it Krispy Kreme Original Glazed Popcorn, I think my idea was better but I may be in a minority. This popcorn is designed to taste like an Original Glazed Doughnut from Krispy Kreme, but reading the packaging I noticed that that it was essentially popcorn with just the usual sugared glaze. 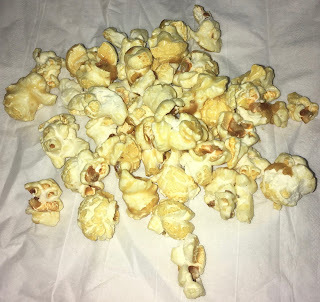 The bag had a pretty generous helping of popcorn and I poured myself a portion. The pieces were of various sizes, and there was only a couple of unpopped kernels in the bag. For me the revelation was that the flavour of Krispy Kreme doughnuts is apparently all in that glaze, I had wrongly assumed that part was just sugar, but the glaze really is the flavour not the cooking of the doughnut. Consequentially this popcorn was very distinctive in its flavour and did recreate the Krispy Kreme taste perfectly, it was in fact magic. It was sweet tasty and something different to munch on, my taste buds love the flavour of the glaze and this snacking combo. 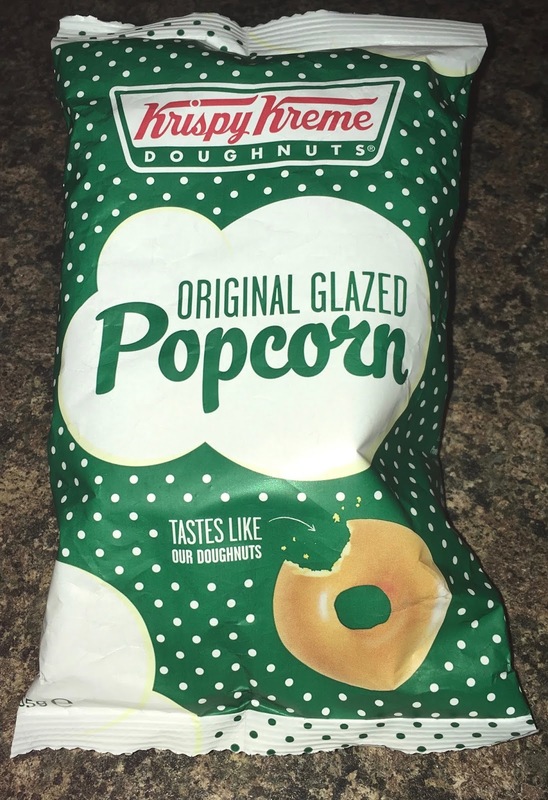 This Krispy Kreme Original Glazed Popcorn will be my snack of choice next time we are watching a film. I’d say it was lower calorie than buying a doughnut, but I can’t promise not to buy one of those too when I’m in store!